In the generation after Constantine the Great elevated Christianity to a dominant position in the Roman Empire, his nephew, the Emperor Julian, sought to reinstate the old gods to their former place of prominence—in the face of intense opposition from the newly powerful Christian church. 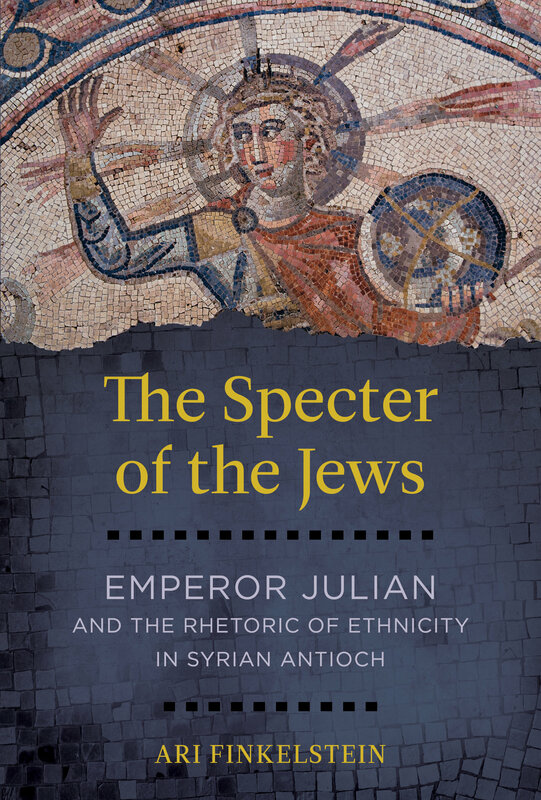 In early 363 c.e., while living in Syrian Antioch, Julian redoubled his efforts to hellenize the Roman Empire by turning to an unlikely source: the Jews. With a war against Persia on the horizon, Julian thought it crucial that all Romans propitiate the true gods and gain their favor through proper practice. To convince his people, he drew on Jews, whom he characterized as Judeans, using their scriptures, institutions, practices, and heroes sometimes as sources for his program and often as models to emulate. 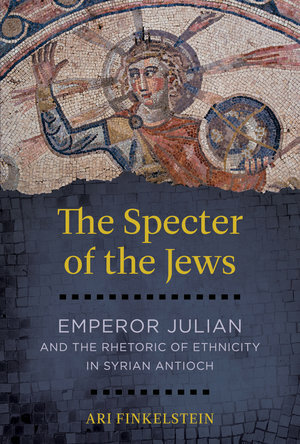 In The Specter of the Jews, Ari Finkelstein examines Julian’s writings and views on Jews as Judeans, a venerable group whose religious practices and values would help delegitimize Christianity and, surprisingly, shape a new imperial Hellenic pagan identity. Ari Finkelstein is Associate Professor of Judaic Studies at the University of Cincinnati, where he works as a historian of Jews and Judaism in the antique and late antique Greco-Roman world.